While I love, love, love my home..I don’t love, love, love my homes bathrooms. They haven’t been DIYd at all, nothing fixed up, nothing new from us since moving in. We are constantly in the mindset of 100% or nothing, so since we can’t do a full makeover quite yet, we haven’t done anything. The tile in there is by no means beautiful or fancy, but it was one thing- dirty. With two kids and two dogs, the house, floor especially, always seems to be dirty! And I felt like I finally need a true fresh start. So while you can get a ton clean yourself, sometimes its just so nice to call in the big guns to get you off on the right foot! I called Zerorez, and they did their magic. They came and used the chemical free water system to power clean the floors and grout, and it was amazing the difference. You see that arrow? Ya, the left is before they ran over the floor with their cleaner, the right is after. That grout color difference is rather disgusting, for lack of a better word! I was so excited to see this huge difference, but I wanted to know how to help maintain it. So I asked the awesome guy that came out from Zerorez, Albert, and he gave me some awesome tips. 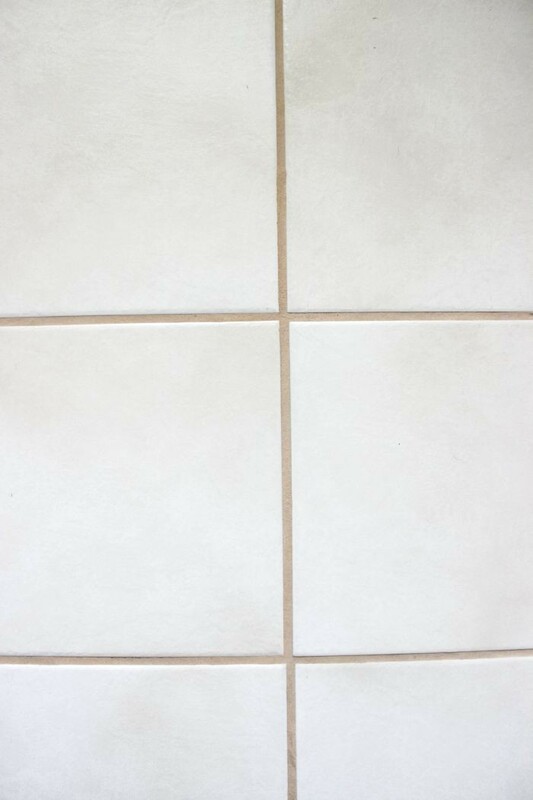 First: Make sure you have your grout properly sealed. If you haven’t ever had it sealed, or it has been a long time since you did, get it all sealed up nicely. There are a a ton of easy DIY sealents out there, so don’t be afraid to do it yourself! Second: Before cleaning your floor with any liquid, vacuum it. You wouldn’t think that that makes sense, but a lot of dirt gets ground down in the grout- so the vacuum gets it either out or at least loose. 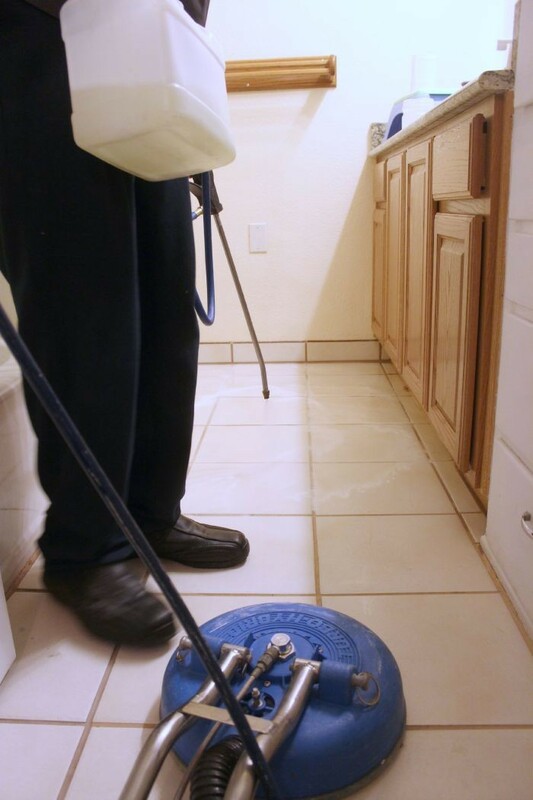 Those are some of the best ways to help maintain your tile and keep it clean. But if and when it gets too much and you just need a fresh start- call Zerorez! Right now they are offering all Dream Book Design readers a special for 3 rooms of carpet for only $129. Make sure to mention DBD, and get the hook up! Everyone we have worked with from there is amazing, from the customer service on the phone, to Albert who is our main man for cleaning. He makes our floors look as good as new! 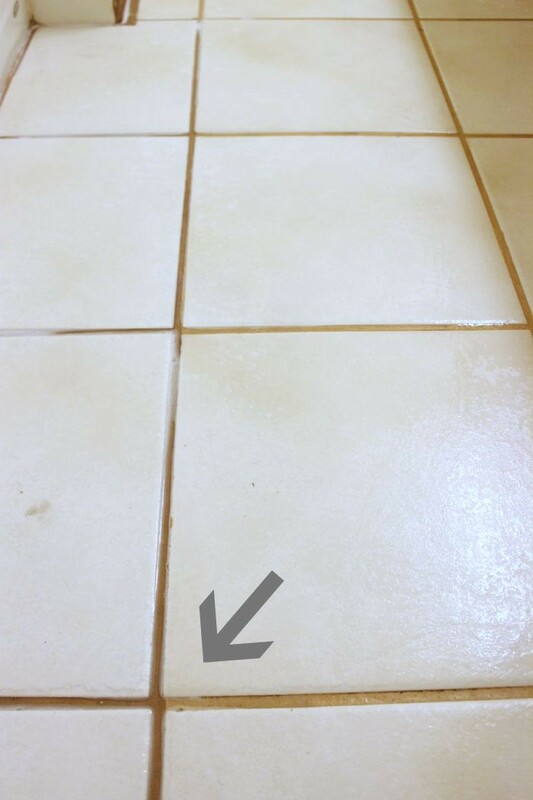 Disclosure: we partnered with Zerorez to bring you these tile cleaning tips. Adri, did he basically just power wash the floor and scrub it with the rotating disc thing? Thanks. Although you did not explain the reason behind, it was really nice when you suggested getting the grouts sealed before cleaning the tiles. 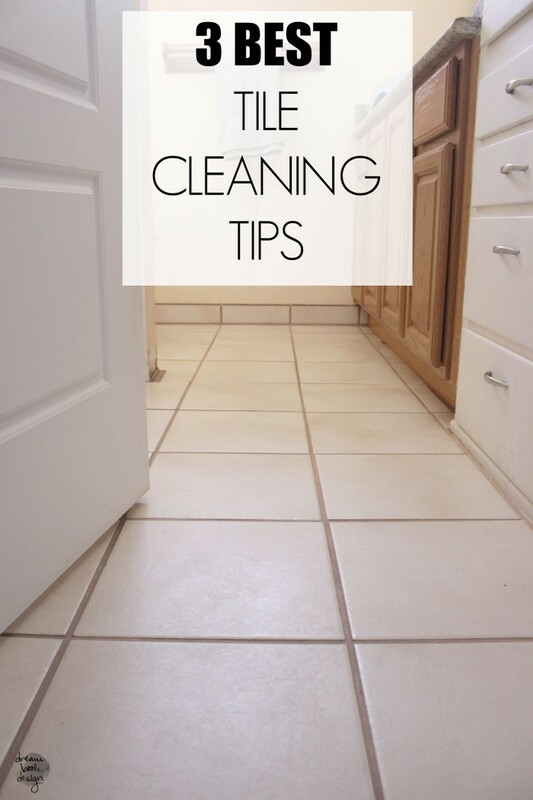 My little sister loves to clean so I will have to remember this tip once we get the tile flooring installed. After all, I want the flooring to last a long time, if sealing the grouts to protect it is what will help, then I will be sure to do it.